Double Duty: Featuring Coconut Oil and Baking Soda – Tres Belle Petite Medi-Spa ! No busy person has the time to apply a million products in the morning, those days are long gone. The products listed below cut your skincare regimen in half. I personally use the products recommended. 1. 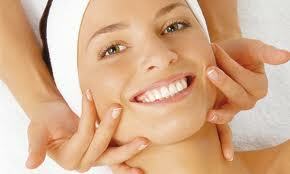 Exfoliating Cleanser: Sloughing off dead skin is important if you want to glow. Find a cleanser that not only cleans but gently exfoliates. It's also great to use a cleanser of this type on your neck and chest but be VERY gentle as the skin tends to be more sensitive in these areas. 2. Tinted Sunscreen: Exposure to the sun ages the skin and damages it from the inside. Use a sunscreen everyday to protect the skin from sun spots. A tinted option will help even skin toned helping you look pulled together and fresh. Tres Belle suggests Skinceuticals Physical Fusion with a Universal Tint. 3. Baking Soda: Use the magic white stuff to exfoliate skin on face and body. Mix a little water to make a paste and gently apply using circular motions and rinse. Baking Soda is also the BEST tooth whitener around. I like to wet my brush, sprinkle a little on and brush, followed by a regular toothpaste brushing. I use Bob's Red Mill Baking Soda, it costs a bit more but, it's cruelty-free and just feels cleaner than A&H. 4. Hydrating Mist: A great hydrating mist will not only help set your make-up , it will keep your skin hydrated and also double as a fragrance. Tres Belle is obsessed with Tata Harper Floral Essence. 5. Retexturizing Serum: There are lots of serums that not only hydrate OR exfoliate, but they do BOTH. I am obsessed with Skinceuticals Retexturizing Activator. This serum hydrates with Hyaluronic acid ( binds water to skin) and resurfaces with the use of glycolic acid. It is gentle enough to use everyday! 6. Coconut Oil: There are so many ways to use this deliciously aromatic oil. I use it to remove make-up, in place of face wash, as a hydrating scalp mask, in place of body lotion, really for anything related to body-beauty from head to toe. Make sure you get 100% organic, virgin coconut oil. Trader Joe's now sells it for under $7.00. I also have some in the medicine cabinet. I hope you like these tips! Please feel free to share YOUR two-timing tips too!